PANISA KHUNPRASERT is a product designer who grew up in a toy factory in Thailand. After received her MFA at School of Visual Arts, she currently lives and works in NYC. PANISA always questions how objects around her are designed, made, and perceived. She loves breaking rules and experimenting with materials, processes, and perceptions. She transforms everyday objects and creates her own versions inspired by her toy maker legacy. PANISA products were crafted from natural wood and paint. While the hardwares were deliberately designed to fit onto specific silhouettes. They are made by our neighbor, a small but very experienced hinge maker. 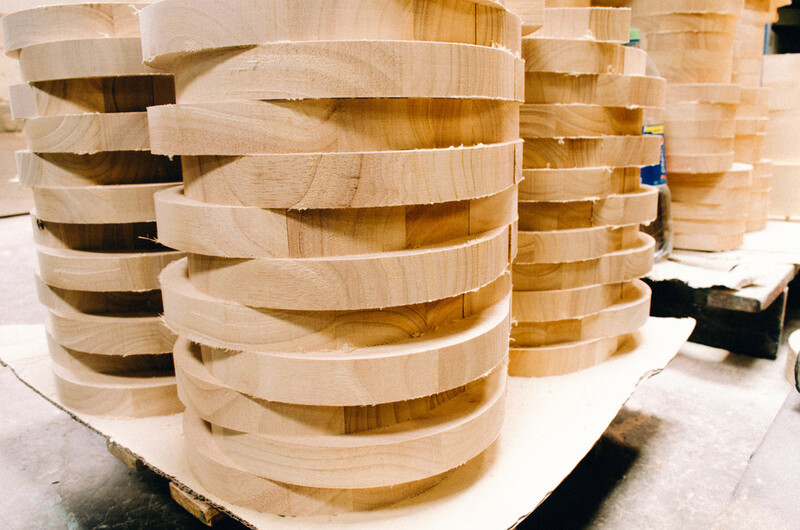 We carefully assembled and handled everything in our home factory.